This Strong Polypropylene Construction - 3 oz. Woven Geotextile by Resinet is the durable solution for any application that requires the separation of aggregate and subgrade, erosion prevention, back fills and retaining wall constructions. This Strong Polypropylene Construction - 3 oz. Woven Geotextile by Resinet is the durable solution for any application that requires the separation of aggregate and subgrade, erosion prevention, back fills and retaining wall constructions. Soil stabiliziation plays a vital part in the proper construction of gardens, patios, walkways, driveways, roadways, drainage tiles, retaining walls and other landscaping and commercial applications because poor drainage or mixing of aggregates and soil profiles can lead to erosion, ulitmately ending in project failure. 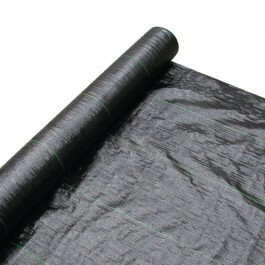 Geotextiles work by keeping layers of material seperate that must have constant seperation in order for them to work in a structurally successful manner.